M.S. Jacovides Hellas supported as a sponsor the 3rd Medtech Conference on “Uncertainties in the Medtech Sector in Greece” that was held with great success at the Caravel Divani Hotel, on October 18, 2017 in Athens. 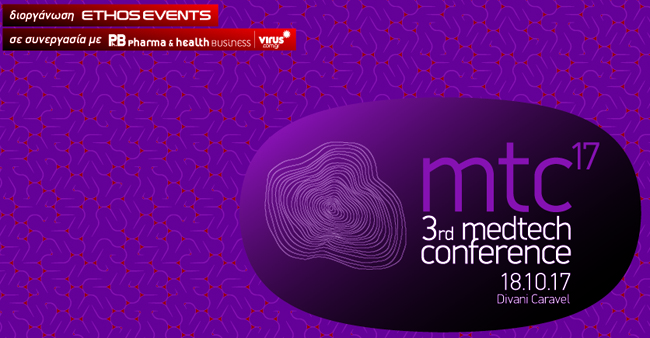 The conference’s aim, that was organized for the third time by Ethos Events, under the auspices of the Greek Association of Health, Research and Biotechnology Industry (S.E.I.V. ), was to highlight the issues and distortions observed in the procurement of medical technology products in Greece and to search for effective solutions that remedy the problems encountered in the supply of medical products to NHS hospitals. Emphasis was given to the expected changes to be effected with the implementation of the new EU public procurement law. The conference participants included healthcare professionals from both the private and public sector. 2019 © M. S. Jacovides All rights reserved.